When the final episode of the highly popular television show ended with its seventh season, it left behind a huge fan base that wasn’t ready to see it end. Along with the fans that refused to let go, creator Joss Whedon also refused to let his hit series end. While it no longer was on the small screen and the cast and crew went on to other projects, Buffy continued on in the comic book world. What is now known as Season Eight has taken several years and 40 issues to complete. With the completion of this season it was decided that it would also be released as a motion comic on both DVD and Blu-ray format. While Season Eight is supposed to have left off from where the television series ended, it does not. It’s actually a year later. 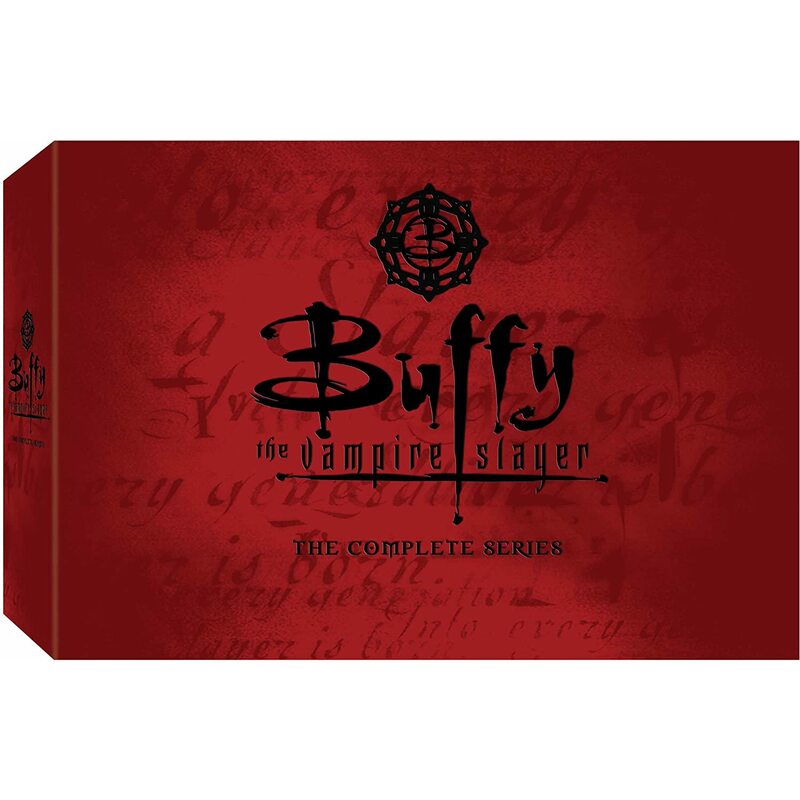 Buffy, Xander, and Dawn are now in command of an army of slayers giving orders from a secret base located in an old Scottish castle. Xander is now a watcher coordinating multiple squads of slayers and giving them their marching orders. Buffy is a commander and trainer. Willow is missing, and Dawn has somehow become a giant. The comic is broken up into multiple stories. Some are self-contained in single issues, but most are grouped into four-part miniseries. Each issue runs between ten and fifteen minutes long, allowing you to watch one of the mini adventures in approximately the same time it would take to watch a regular one-hour televised episode. There is also a season encompassing arc that ties them all together dealing with a mysterious and powerful individual named Twilight whose name and symbol keeps popping up along the way to the final confrontation with Buffy. It’s a real toss up as to whether the fans will like this motion comic. It could go either way. The best thing about it is that the story continues. It’s well written and some of the most beloved characters of all time live on, along with a number of old characters as well. By the time the season is over Giles, Faith, Andrew, Warren, Amy, Spike, and Angel will all make appearances. The art work is really good and the way the characters move and the action flow it’s like you’re watching a fully animated feature. The problem lies in the fact that these are all such iconic characters. Using none of the original actors from the show, a lot of the dialogue comes across choppy and is missing a lot of the inflection and character that could be brought to the comic. Along with the dialogue, the artist renditions of the gang aren’t even close. Sometimes you get lost on what characters are speaking and who is who. The most egregious error of the motion comic is the fact that it claims to be Season Eight when in fact it’s only part of Season 8. Out of 40 issues, you only get the first 19. The Blu-ray is a two-disc set with the second disc being a regular DVD copy. There aren’t many special features on the disc. There is one that discusses how much everyone loves Buffy and is a collection of brief interviews with writers, artists, and random fans during the San Diego Comic-Con. The others are a trivia contest while you watch different issues, the test pilot for the project, and a comic book cover gallery. Inside the case you also receive a miniaturized version of issue #1. As a huge Buffy/Whedon fan but someone who has never been much of a comic book reader (let alone motion comics), I approach the further adventures of the scoobies with some measure of excitement and trepidation! More than anything I'm reminded that I need to circle back and rewatch Season Seven as soon as I get a chance. My memory gets fuzzy somewhere near the end of Season Six when Willow goes super evil and nearly blows up the world and Season Seven with the super creepy The One (I believe?) and Nathan Fillion showing up as a super baddie priest. Great job with this Todd ! You've never watched Buffy?? Really? It's a really good show, but it's always interesting to see how well a show stands the test of time. I have seen the silent episode and that's it. My take on Buffy: Season One is very good with flashes of great, S2 is one of the best seasons in the history of TV, S3-4 are at the great level, S5 descends back to good, S6 is watchable but gets shaky ("Once More With Feeling" is freaking brilliant though), and with S7 there's a decent fall out and very appropriate place to wrap. My take is about the same. S1 I didn't fully get the appeal, S2-5 I was hooked hard, but S6 was so dark and depressing (except for "Once More With Feeling") that I tuned out partway in and didn't come back until the series finale. El Bicho, you have to at least watch "Once More With Feeling". Looks like we need to drag you to the next Comic-Con singalong. The comic book S8 is a great deal of fun in print form, but I don't see the appeal of the motion comic without the original actors. Far better to just wait for the eventual omnibus edition and read it imagining their voices.